To know how successful your PPC Campaigns are, you use KPIs. And, when you measure your performance appropriately, you wind up plainly ready to exhibit your return for money invested. The reason of PPC Advertising is to drive traffic to a website, thus, the number of clicks is something which comes further. 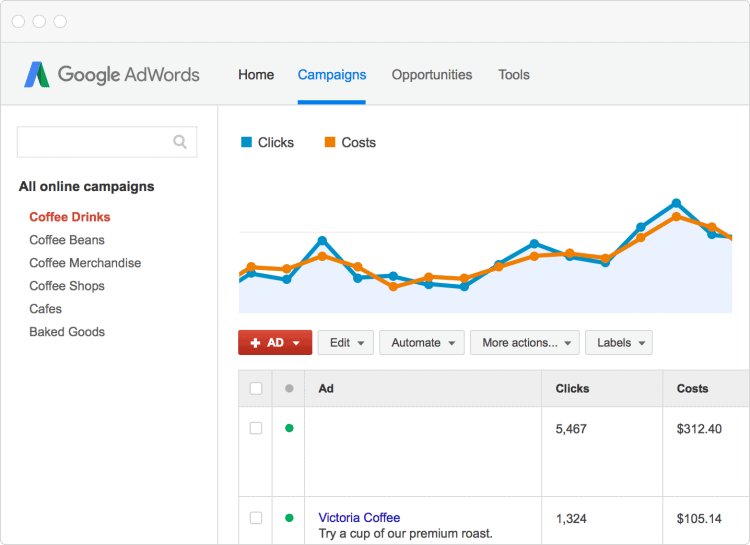 Clicks are an early pointer of PPC campaign success as each conversion starts with it. The KPI informs you about number of people clicking on your ad and have been directed to your site/landing page. While measuring this, you get to know which ads are not performing and thereafter, can increase the bids on those advertisements. 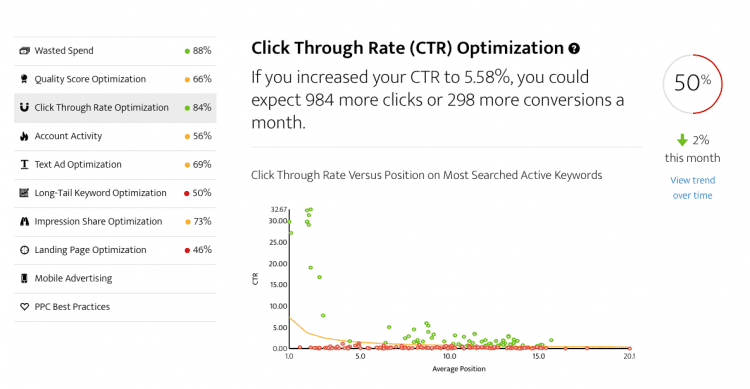 Click-through rate i.e. CTR is likewise an important metric and is the number of clicks (within the period being reported) divided by the number of impressions. It is, on average, the percentage of individuals seeing your ad and clicking on it. For example: Out of 1,000 impressions, an ad got clicked 100 times; your CTR will be10 percent to say. There could be a number of variables affecting your PPC performance as per the industry; there is not any just right CTR you can look for. The number can be used further to weigh up the quality of your ads, and also, the quality of keywords you are offering on. It affects ‘Quality Score’ too. There could be different reasons responsible for low CTR likely ads not being so convincing or maybe you’re bidding on an irrelevant keyword. “Quality score” is a ranking of how related and helpful your keyword is to your ad group/a user’s search query. The Search networks calculate it using an assortment of factors. The higher a keyword’s Quality Score, the lower its cost-per-clicks (CPCs) and the better its ad position. Search engines normally assess your keywords, CTR, ad format, and landing page experience; the higher your score, the more appropriate your business appears to be to a related search. Google in recent times has improved its Quality Score reporting by adding three new optional columns to the Keywords status tab, and in addition enabling advertisers to view their Quality Score history. A quality score between 7 and 10 which is considered as good: means you pay less money to advertise with AdWords. A bad quality score of 6 or lower implies you have to pay more to advertise. Your quality score proves to be an important factor in determining, how much advertisers need to pay for every click and thus influences different metrics like CPC and CPA. Usually, Campaign managers start with a set budget, yet it doesn’t imply this is what they will pay through the entire campaign. CPC is a measure of the price paid for each click of an ad; accurately how much an advertiser has paid on a click to its site. You can measure the metric by dividing the total cost of a campaign by the number of times the ad was clicked in that campaign. To manually check the cost of your campaign, you could multiply CPC by the number of clicks a campaign received. There isn’t any benchmark to make a cost-effective CPC as it varies by industry. It helps you determine your budget considering specific goals if any. The average CPA also said to be Cost per Conversion, is defined as the price advertisers pay for every new conversion they make/new customer they acquire. It is the ratio of the number of advertisement views and the number of successful conversions (purchases, signups, participation or whatever the objective of the advertisement is) resulting from those ad views. Google determines it based on campaign’s quality score. However, there is Targeted CPA, a bidding technique also applied allowing advertisers set bids automatically to get as many conversions as possible. 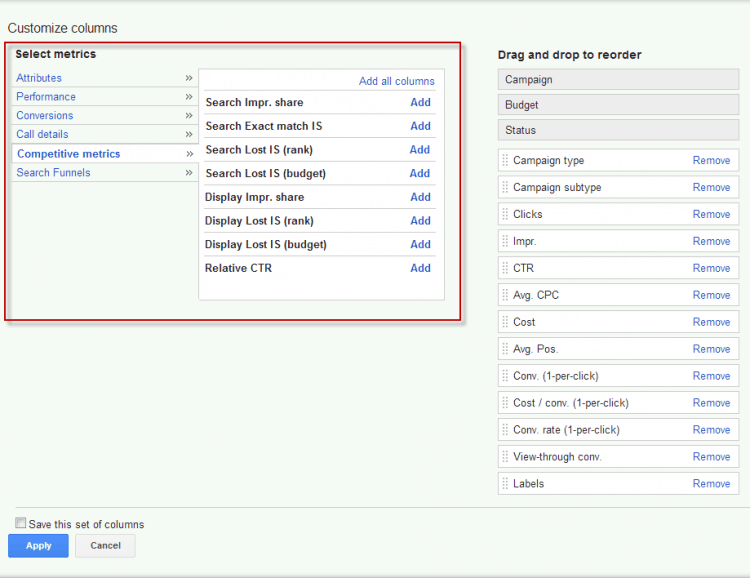 Conversion rate in AdWords by dividing the number of conversions the campaign received by the total clicks. The conversion rate is expressed as a percentage; for example, if you had 50 conversions from 1,000 clicks, your conversion rate would be 5%, since 50 ÷ 1,000 = 5%. You can use conversion tracking in your account to measure your conversion rates and ultimately use them to help guide your advertising decisions. You can also aim for conversions based on CPA goals rather than focusing on clicks or impressions; just using Conversion Optimizer. However, to access to the feature an AdWords account must have had at least 15 conversions in the last 30 days. An impression occurs when a person sees your ad without considering the fact that whether it has been clicked on or not. The metric is determined by dividing the total impressions your campaign has received by the total number of impressions your campaign was eligible for. Impression share, in fact, states the total impressions your ad campaigns are getting. As not relating to the effectiveness of an ad, it gives you indirect competitive insight. If you know that you have 50 percent impression share for a keyword, it’s pretty understood that your competitors own the other 50 percent. ‘Average position’ is a metric that describes how your ad typically ranks against other ads. This rank shows in which order ads appear on the page. It informs advertisers about position their ad is shown in most of the time. Google can’t simply give the highest bidder the first position constantly, so they determine average position in view of ad rank. Your ad’s rank can change, making its position on the page to rise and fall as well, so your average position can give you a thought of how often your ad beats other ads for position. For example: The highest position is “1,” and there is no “bottom” position. An average position of 1-8 is generally on the first page of search results, 9-16 is generally on the second page, and so on. Average positions can be between two whole numbers. For example, an average position of “1.7” means that your ad usually appears in positions 1 or 2. Budget attainment says a lot about how things are being managed i.e. it measures how closely paid search marketers have come to achieving the budget they set out to. However, the metric often overlooked, is a KPI that holds a lot of importance. Advertisers tend to over or under spend the budget every month and so, it is hard to bid consistently and maximize results with ongoing fluctuations in the PPC auction. It’s a task that requires ongoing oversight and optimization.